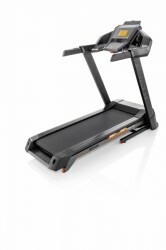 The Kettler Treadmill Track S10 is the new top model out of the house of Kettler. A powerful motor, large running area and the new "Energy Deck" cushioning makes the Track S10 a real innovation with numerous features. 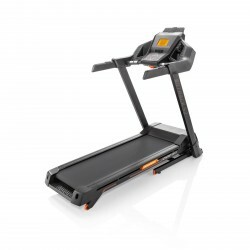 The Kettler Treadmill Track S8 is built with a powerful motor and very good suspension. Thanks to the newly designed cockpit you can configure your treadmill to your needs. 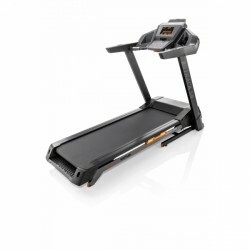 With the new Guided Running you have a personal trainer directly in your treadmill. 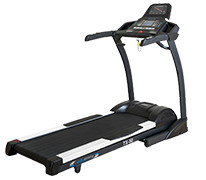 The Kettler treadmill Sprinter 5 offers a good basis for starting treadmill training. 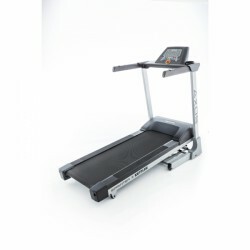 The Kettler treadmill Sprinter 5 is suitable for regular walking or light jogging. 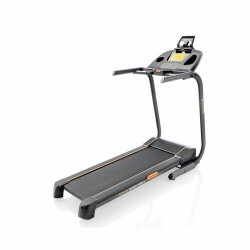 Kettler treadmills are ideal for a sporty and varied training at home. 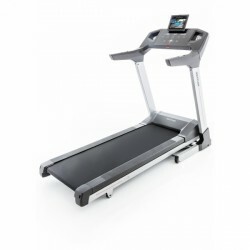 The Kettler treadmills offer a wide range of performance. Kettler provides products for every use and training content. The Sprinter 5 is good for beginners and for walkers. It's easy to use and has a good price-performance ratio in the lower price category. The „Track models“ are the middle class of the range of Kettler treadmills. Track 3 and 5 are made for the comfort runner. It is focussed on the improvement of the cardiovascular system and the fat burning. The Track 5 is built with an USB port so that to can use interactive training software, for example, Kettle World Tours. Using the Kettler World Tours, you can cycle track simulations or compete against an international user community in the race mode. The models of the „Run series“ are made for ambitious runners, who train often and intensively. Hence, the motor output is high and it offers several features. Kettler-World Tours, the KettlerFit App, and a Bluetooth interface for connecting with Smartphone or Tablet for many entertainment possibilities for longer workouts. The various models cover a wide range - from a very good beginner model to the high-end machine for ambitious sportsmen and running experts. Outstanding Suspension: The Energy elements under the running band are easy on the joints, tendons and muscles. For a healthier training session. 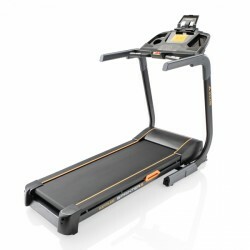 Rebound effect: The suspension foam catches the impact energy and rebounds it back onto the runner. This rebound supports the runner in training with an energy impulse in each step: resulting in a longer run with the same effort. Low noise level: Thanks to the Energy elements the impact isn't transferred fully onto the frame. Which leads to a drastic reduction in noise. Even in high speeds the treadmill is quiet - ideal für training at home. Durable and maintenace-free: The suspension material holds on to its original properties even after years of usage.